UPDATED: Thu., April 20, 2017, 1:28 p.m.
Before 1906: Cannabis products used in some patent and over-the-counter medicines. Smoking of hashish limited, but not illegal. 1906: U.S. Pure Food Act required products with cannabis in them to be properly labeled. 1923: Washington passes HB 3, outlawing “narcotic drugs”. Cannabis included in banned substances. 1937: Congress passes Marijuana Tax Act, putting excise tax on authorized uses of the drug, penalties for those who violate it. 1938: U.S. Pure Food, Drug and Cosmetics Act defines marijuana as a dangerous drug. 1956: U.S. Narcotics Control Act has mandatory minimum sentences for first marijuana offense. 1970: U.S. Controlled Substance Act removes some mandatory minimum sentences for drug offenses but listed marijuana as a Schedule I drug. 1971: Washington passes its own version of the Controlled Substance Act with marijuana as Schedule 1 drug. 1996: California passes the first medical marijuana law. 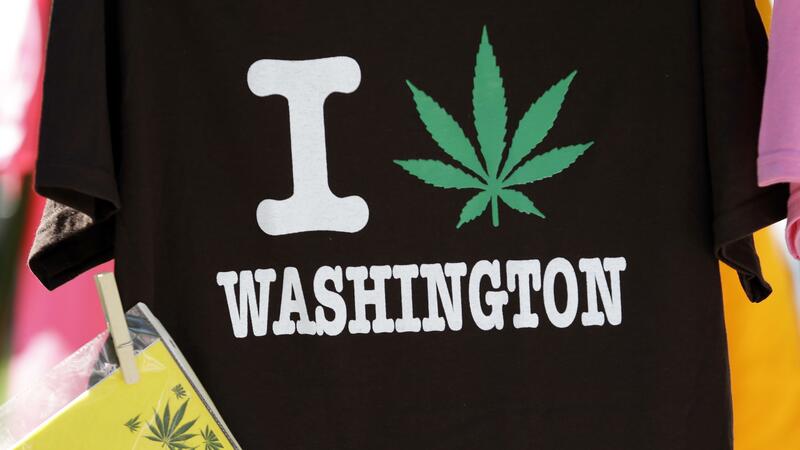 1998: Washington voters pass I-692, the state medical marijuana law. 2013: Cole Memo from the U.S. Justice Department says federal government won’t put high priority on criminal prosecutions in states with legalized marijuana if certain conditions are met. 2014: First licensed Washington recreational marijuana stores open. 2015: Legislature merges state’s medical and recreational marijuana systems. 2017: Sen. Jeff Sessions, a vocal opponent of legalized marijuana, named U.S. attorney general. OLYMPIA – Marijuana laws have come almost, but not quite, full circle in Washington. At the turn of the last century, cannabis wasn’t illegal in the United States and was a common ingredient in patent medicines, available at many drug stores or by mail. Farmers grew hemp, one version of the cannabis plant, as a cash crop. The nation’s attitude toward cannabis and other drugs like opium, codeine and cocaine – which also were used in some over-the-counter medicines, and even soft drinks – began to change in the early 1920s, when the nation was in the throes of Prohibition against alcohol. States began to individually regulate the sale and possession of many of those substances, requiring a doctor’s prescription for their purchase and use. In 1923, the Washington Legislature passed House Bill 3, regulating “narcotic drugs,” in which it included cannabis americana and cannabis indica. The term marijuana wasn’t commonplace at the time. It was a term that came into use as part of the prejudice against Mexican immigrants, with allegations that they were lazy because they smoked a substance sometimes spelled marihuana. Violations on the restrictions against selling or possessing the drugs were punishable by one to 10 years in the state penitentiary, as well as loss of license if the person was a doctor, dentist or veterinarian. Habitual narcotic users were to report for treatment to a doctor or face quarantine; prison officials were ordered to set aside areas to treat addicts who happened to be inmates. A person put in quarantine for drug addiction could appeal to the courts, but only after six months. At the time, the federal government didn’t have a national law against marijuana, requiring only that products with cannabis be clearly labeled under a series of anti-poisoning laws. Instead, it encouraged the states to pass and enforce their own laws. That changed in 1937, when Congress passed the Marijuana Tax Act, which criminalized possession of the drug unless a person paid an excise tax for certain approved uses. Although farmers were encouraged to grow more hemp during World War II – the nation needed more rope – eventually the federal government severely restricted that crop. In the 1950s, the federal government put stiff penalties on the possession of marijuana, requiring at least two years in prison and a fine of up to $20,000. Congress approved a major overhaul of drug laws, the Controlled Substances Act of 1970, which removed some mandatory minimum sentences for minor drug offenses but also classified marijuana, at least temporarily, as a Schedule I drug with no valid medical use, along with heroin, mescaline and LSD. A commission recommended several years later that marijuana be given a lower classification, but Congress and President Nixon refused. Washington passed its own version of the Controlled Substance Act in 1971, which also lists marijuana as Schedule I. But by then marijuana had become common place among the post-war Baby Boom generation, who grew up with music and movies that either joked about or celebrated its use and didn’t believe the “Reefer Madness” propaganda of the 1930s. By the 1990s, the legal tide began to turn, with California legalizing marijuana for medical use in 1996 and Washington voters following in 1998. That put Washington in conflict with federal law, which continues to list marijuana as an illegal Schedule I drug. Over time, the list of conditions grew, and so did the number of places where one could buy medical marijuana. But the state never had a system to regulate who was growing medical marijuana or who was selling it. A provision to allow “cooperative gardens” for a group of patients gave rise to growing numbers of marijuana dispensaries. In 2011, with the federal government cracking down on dispensaries in Spokane and other parts of the state, the Legislature tried to set up a system for the state to license and regulate medical marijuana growers and dispensaries, and a registry for patients. But then-Gov. Chris Gregoire vetoed much of that bill, saying the state couldn’t put its workers at risk of arrest from federal authorities by putting them in the middle of licensing and regulating something the federal government deems illegal. A year later, voters put the state in even greater conflict with that federal law, legalizing the private use of recreational marijuana for people 21 or older. Initiative 502, which passed with 56 percent of the vote, also directed the state to license, regulate and tax recreational marijuana, and set up some of the ways that tax money can be spent by the state. I-502’s provision that allowed adults to consume recreational marijuana without fear of state penalty went into effect on Dec. 6, 2012. But the state Liquor Control Board, tasked with setting up regulations for those who wanted to legally grow, process and license recreational marijuana, took another 18 months, with the first legalized sales at a handful of licensed recreational shops occurring on July 8, 2014. In between the law taking effect and the first store’s opening, the U.S. Justice Department issued a memo written by Deputy Attorney James Cole, setting down conditions that would be more likely to prompt federal criminal actions in states that had legalized marijuana. Among them were sales to minors, money from marijuana going to organized crime, diverting marijuana to states where it’s illegal or using marijuana sales as a cover for trafficking in other drugs. Washington lawmakers have consistently taken pains to emphasize state regulations comply with the Cole Memo. But the opening of “502 stores” meant Washington had two legal but separate marijuana systems: One highly regulated and taxed system for recreational marijuana and another largely unregulated system for medical marijuana. A year after the recreational pot shops opened, the Legislature had approved merging the two under the Liquor Control Board, which was renamed the Liquor and Cannabis Board. Recreational shops could apply for a special license to sell medical strains if they met certain conditions, and some medical dispensaries obtained retail licenses, but many were forced to close. The state continues to tweak its evolving laws, and on Wednesday the House and Senate were at loggerheads on the latest changes that cover advertising, growing plants at home and industrial hemp, and sent this year’s omnibus marijuana bill to a conference. The number of store licenses is limited, and some cities and counties have banned marijuana businesses, but, in general, an adult who is a resident or visitor to Washington can find a place to buy marijuana products legally in most cities of any size in the state. Legally under state law, that is. It’s still illegal under federal law and U.S. Attorney General Jeff Sessions is an opponent of marijuana use. He said last month, however, the Cole Memo is a valid way to set priorities for prosecution in an era of limited resources. Published: April 20, 2017, 6 a.m. Updated: April 20, 2017, 1:28 p.m.